Want to get out into nature? Are you ready to experience the outdoor world in a way that engages all your senses and provides a benefit to your health, too? You can’t beat a bike trip. It’s hard to think of a better way to see the world around you – or to get some exhilarating and rejuvenating exercise. If you’re planning to really get out of town, you will want to have some simple way of transporting your bikes out to the wild country with your vehicle. You can disassemble your bikes and try to load them in the trunk. But it’s a lot easier – and lot better for your bikes and your patience—to invest in a bike carrier for your car or truck. It’s the right tool for the job of safely and securely hauling your bikes from point A to point B. There are three main types available: the hitch-mounted carrier (which is mounted to a receiver hitch at the rear of your vehicle); the trunk-mounted carrier (which is mounted to the trunk of your vehicle); the roof-mounted carrier, which attaches to a crossbar system on the roof of your vehicle. They all have their strengths and weaknesses. Which is best for you depends on your plans, the type of vehicle you own, and other factors. But in this review, we will take a close look at something a little different from those: The truck bed bike rack. 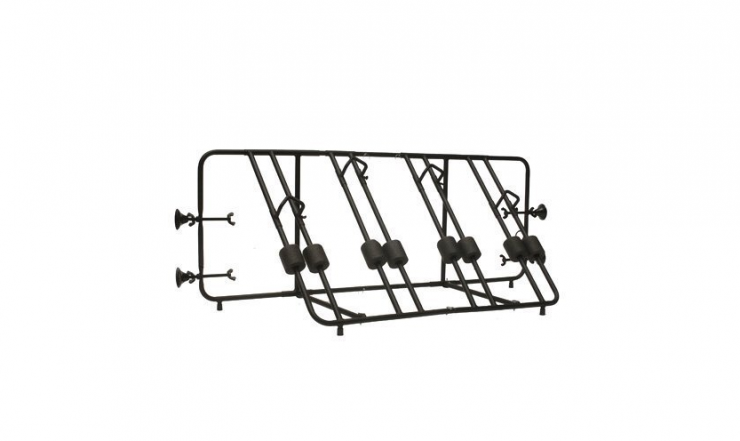 This type of rack, as the name suggests, is designed to be mounted in the bed of your pickup truck. Most of these are uncomplicated hooks or roll-in racks – your truck bed provides the resting surface for the bikes. They are usually easy to install, no drilling or bolts required, no permanent alteration of your truck. Click Here to See Our List of the Best Truck Bed Bike Racks. If you need to haul more than one or two bikes for your trip, we think the Heininger Automotive 2025 Advantage SportsRackBedRack is a great choice. The rack can securely hold up to four bikes and can be adjusted to accommodate bicycles of nearly any size or style. And there’s no need to remove the front wheel from your bike – just roll it in. This Heininger rack requires a bit of assembly work after unboxing, but it’s easy work – no tools required. You just fit and lock the parts together with your bare hands. 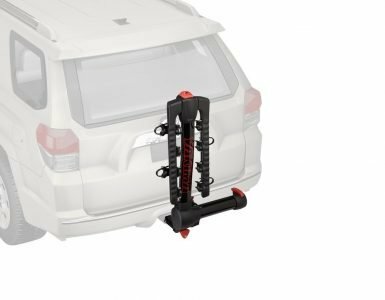 After it is all put together, you have a rack that will fit both full-size and compact-size truck beds from 54.5 in.to 66.5 in.wide without using the included spacer – therack willextend from 60.5 in. to 72.5 in. with the spacer. Note: The manufacturer says that this rack will not work with trucks that have stepside beds. 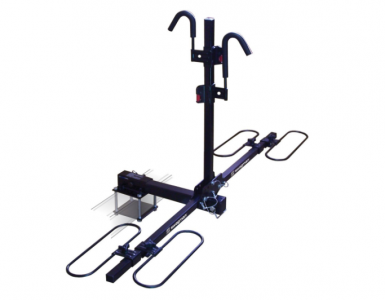 To install the rack into your truck, you secure the large, soft rubberized stabilizers to the inner walls of your truck bed, tightening them into place with wingnut type screws. No drilling, no bolts, no damage to the paint in your truck bed. It’s easy in and easy out. Now that you have the rack installed you can just roll your bikes into it. The slots that receive the wheels are 2.5 in. wide and include padding to help prevent damage to your bike. Each slot has an adjustable securing bar that fits over the tire to hold the bike wheel tightly in place. This rack will work with bikes having a rim size up to 28 in. Once your bikes are loaded into the slots and the securing bars are tightened, you can use the included 72-in. cable, threaded through your bikes and the rack, to further secure everything. Non-slip feet along the bottom help to keep the rack stable and will also protect the bed of your truck. You can use the Advantage BedRack with or without a bed liner. Get a look at the Heininger rack in this video below. You will get an idea of what the assembly process and installation entail and see how the bikes attach to the rack. We think this Heininger rack offers a lot of utility and versatility for the money. It is adaptable to a great number of truck beds. But, of course, since the idea here is a universal fit, there are going to be a few mismatches with certain types of trucks. Some users have reported that trucks bed walls that do not have fairly large, flat areas make for a less than perfect fit. Keep this in mind if you are considering the rack. The video above will make this clear – you need a flat plane for optimal mounting of this rack. Many have suggested that when you are carrying multiple bikes it is a very good idea to tie your bikes together with a bungee or other type of cable at the end opposite the rack to keep the them straight and stable. We think this is sound advice – just common sense. Overall, we think the HeiningerAdvantage BedRack is a great choice for pickup owners. 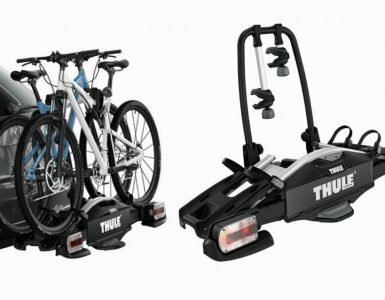 Extremely easy to assemble and use, solid – especially if you take care to do a bit of extra tying down – able to carry a family’s worth of bikes, and easy on the wallet. And there’s one final plus we should mention: This rack serves double duty as a floor rack. You can use to hold bikes in your garage or porch. Pickup owners who are considering a simple floor rack might want to keep this one in mind – it’s like getting two for the price of one.